There are many opportunities for a career in the outdoors. Here you can become familiar with the many types of careers that exist in both outdoor recreation and conservation. This may help you decide what kind career you could pursue. Want to work in the outdoors but not sure where to start? Use this guide to learn about the many opportunities that exist in outdoor recreation and conservation. Learn about different career options from real life examples of people with outdoor recreation and conservation careers. This guide introduces many of the different outdoor and recreation fields that one might focus on to pursue a career in the outdoors. Pursuing a government job can be a great choice. There are many fields and jobs to choose from in the outdoors and recreation. This section will introduce both federal and regional government opportunities and help you navigate the sometimes complex process of applying for a government job. This guide introduces many of the different outdoor and recreation fields that one might focus on to pursue a career in the Government Sector. 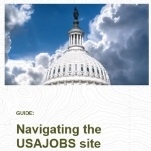 Get an overview of the federal agencies that provide a variety of outdoor career opportunities. This guide takes a look at close to home outdoor career opportunities that can be found locally and on a statewide level. Government jobs often have their own unique process which is different than the hiring process for other sectors. This guide will help you understand and navigate this process. Understanding?USA Jobs is an essential part of applying for a job with the federal government. This guide will walk you through the process step-by-step and give you tips and tricks to help demystify the process. Resumes and cover letters for government jobs are unlike traditional job openings. Use this guide to help you navigate this unique landscape so you can put your best foot forward. While the government sector provides many outdoor career opportunities, there are a few more important sectors you should consider. The nonprofit, education, and for profit sectors offer great career opportunities to share you passion for the outdoors with others. Despite offering similar career options they are very different than working for the government. This guide will help you understand and navigate the many career opportunities within the nonprofit and education sectors that will allow you to work in or for the outdoors. There are many opportunities to work for companies in the outdoor recreation and natural resource sectors. This guide provides descriptions of potential positions and employers, example careers, and education and experience necessary to pursue a career in these sectors. This toolkit covers the basics you need to apply for and get the job you want. Get the advice on resumes, cover letters, interviewing techniques and more. Now that you have decided you want a career in the outdoors, how do you put your best foot forward? This section provides additional resources. Learn how to search and apply for jobs with the Federal Government using USAJobs, the main website for Federal employment information. This video is provided by USAJobs.gov OPM. This webinar gives detailed information on how to write a federal resume. It provides many very specific examples as well as "tips and tricks". "A How-to Guide for Pursuing a Career in Natural Resources"
This comprehensive guide focuses on Natural Resource Careers in Colorado, but has lots of valuable information that is relevant to anyone wanting to pursue a career in natural resources, and working with federal, state and local governments. We are creating a movement to engage young people in transformative outdoor experiences by providing best practices, self-paced learning, and support to individuals and organizations working to get youth outdoors. Learn more at mytyo.org.